How pretty! Like the white you added to the pinecone. Beautiful soft blue watercolour wash background and marker layering coloring technique for your Gorgeous Christmas card, Kia. Love your added sequins, gel pen snow and wonderful sentiment. The perfect Christmas card that would make a treasured Christmas decoration framed. TFS my friend. Hugs..
Love this pretty stamp and how you brought it to life with inks and coloring. Gorgeous work. wow, what a stunner...luv the image and your design...FAB! I am so glad you played along with us at simon says stamp wednesday challenge! 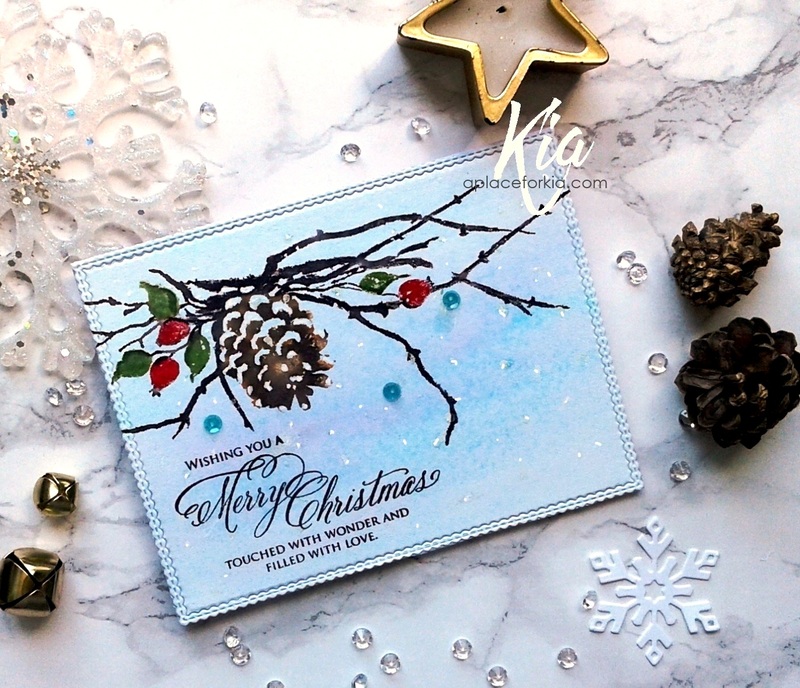 This is a gorgeous card for Holidays.